Meet Oscar Widegren. 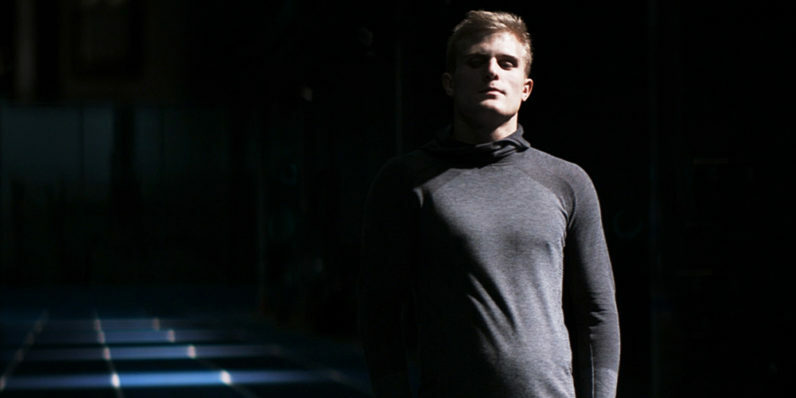 An 18-year-old athlete from Stockholm and fully visually impaired since he was 5. Sound is his most important sense when it comes to understanding and experiencing the world around him. As a person, he is optimistic, fearless and independent, and ever since he was a child he has been dreaming of getting the opportunity to sport, move, run just like everyone else his age, without always having to rely on someone by his side to guide him. Oscar just participated in a project called The Impossible Run. It’s a world-first experiment made together with the small Swedish sound design company Lexter, designed to challenge the known truth – that blind runners always need a physical person to run with. Instead they started to explore if sound had the potential to not only replace the need of a physical person, but actually create a better, more liberating and individualistic running experience, enabling Oscar and other visually impaired to train, run and exercise on their terms. To do this, Oscar’s hearing expertise was an essential part. It’s widely known and statistically proven that visually impaired people are less physically active than others their age. Especially children. This has resulted in everything from underdeveloped motor skills and inferior sense of balance, to an overrepresentation of cases of obesity and even diabetes. This is not a case of genetics or laziness. On the contrary, Oscar and other children with visual impairment are known to fight harder and train longer hours than other athletes, simply because they have to. Simply because that’s their reality. They have less resources to work with, and at the same time more obstacles to tackle and higher thresholds to even take part. That’s why some children (and parents as well) just stop after a while. They don’t give up, rather they give in. Not because they don’t want to keep going, but because it’s too damn hard. The everyday challenge is too overbearing, and the stakes get too big, too high. Add to that the inevitable must to always adjust their schedule, their time, effort and training, to match someone else’s. After planning and training together for two years – optimizing and calibrating the technology, isolating disturbing reverbs and echoes, finding the optimal width for the speakers, length for Oscar to run, and trying to find the exact right sound in exact right frequency so that Oscar’s ears would still register the sound even under the extreme conditions that running in full speed mean, it was time for the big day. On March 17 in a stadium outside Stockholm it was time for the technology to prove its worth and for Oscar to run all by himself for the very first time. The technology is called hyper directional sound technology. What’s so special about it is its ability to emit sound in extremely narrow beams. The speaker uses a thin film to generate an ultrasonic beam of sound. And just like a flash light controls a ray of light, hyper directional sound directs sound in sharp lines, only audible for the people you point it at. Even though the technology itself has been around for years, no-one has ever tried this – to essentially re-create the running track lines with these “sound lines” and give a blind person an inner visual of an invisible sound corridor. The set-up came to be two state-of-the-art hyper directional speakers, set-up 50 meters in front of Oscar’s starting position. The left speaker had a certain sound, and the right had another, and together they created a laser sharp audio tunnel in which Oscar could navigate straight forward, just by hearing the left and right sounds. A third speaker was also placed at the finish line with an intensive synth arpeggio sound to mark his finish and tell him to slow down and stop. Even though The Impossible Run is signed, sealed and delivered, the project as a whole is just getting started. Oscar was the first man out, proving that the technology actually works. Now, Parasport Sweden has shown an interest for the project and Viktoria Karlsson, Euro-Gold Medalist in the Long Jump for blind athletes, has explicitly asked for a set-up to use in her training for the 2020 Paralympics in Tokyo. This really has the potential to be a game-changer for visually impaired athletes – a new paradigm where technology plays a role in making sports more accessible for everyone. More information about the project can be found at theimpossiblerun.com.